MANILA, Philippines — The proportion of Filipino families that experienced hunger decreased in the first quarter, a new poll released Thursday found. Results of a March 28 to 31 Social Weather Stations survey of 1,440 adults nationwide showed 9.5% or an estimated 2.3 million Filipino families experienced involuntary hunger at least once in the past three months. Related Stories Proportion of poor Filipinos declines in H1 2018The latest reading was one percentage point lower than the 10.5% (estimated 2.4 million families) recorded in the preceding quarter. Hunger went down 6.6 points to 11.7% (estimated 387,000 families) in Metro Manila and 2.2 points to 6.1% (estimated 345,000 families) in Mindanao. But it went up 0.6 points to 10.3% (estimated 1.1 million families) in Balance Luzon and 0.8 points to 10% (estimated 472,000 families) in Visayas. MANILA, Philippines—Felipe Salvosa II, the managing editor of the Manila Times, has resigned after the newspaper published a matrix accompanying a story about an alleged plot to oust President Rodrigo Duterte. READ: Palace confirms existence of ‘Oust-Duterte plot’Salvosa, who resigned Wednesday, denounced on Twitter the release of the matrix implicating several media personalities. “It is a very huge stretch for anyone to accuse PCIJ, Vera Files and Rappler of actively plotting to unseat the President. “We just discussed the matrix story after it was published and I was told they were disappointed with my post on social media,” Salvosa said. He clarified though that he felt no tension at all with Ang and son Klink, president and chief executive officer of Manila Times. MANILA, Philippines – A notorious drug suspect was shot dead in a supposed encounter with the police in Pasay City Thursday morning. The fatality was identified as Ferdinand Ajido Lerit of Flores Compound, Barangay 176, Zone 18, Malibay. ADVERTISEMENTPolice said operatives from the Pasay City police and Special Weapons and Tactics (SWAT) team were serving a search warrant issued by Wilhelma Jorge-Wagan of Pasay City Regional Trial Court. The suspect reportedly opened fire, triggering a brief gun battle. Lerit was wounded and brought to Pasay General Hospital where he was declared dead on arrival. Fewer provinces facing prolonged dry spell but El Niño to prevail until Q3 of 2019 0 SHARES Share it! Share TweetBy Ellalyn De Vera-RuizFewer provinces may experience prolonged dry condition by end of May, but the weak El Niño is seen to prevail until the third quarter of 2019. Bohol, Cebu, and Southern Leyte may experience dry spell by end of May. Pagasa said 41 provinces are currently experiencing drought, while 23 provinces are confronting dry spell. By July, above normal rainfall is expected in most parts of Northern Luzon, while most parts of Visayas and Mindanao are expected to have near normal rainfall conditions. Solon hopes for approval of bill establishing pension fund for farmers 0 SHARES Share it! Share TweetBy Charissa Luci-AtienzaDeputy Speaker and AAMBIS-OWA Party-list Rep. Sharon Garin expressed hope Thursday that the incoming 18th Congress will prioritize the approval of the proposed Agricultural Pension Trust Fund Act to help uplift the lives of marginalized farmers and agricultural workers. She batted that the farmers and agricultural workers should be included in the government’s pension programs and benefits. Garin has been seeking the passage of House Bill 6360 or the proposed Agricultural Pension Trust Fund Act to establish the Agricultural Pension Fund to provide pension benefits to agricultural workers, farmers, and fisherfolks. Agricultural workers also make up 26.1 percent of the country’s labor force or to around 11.29 million workers, Garin noted. 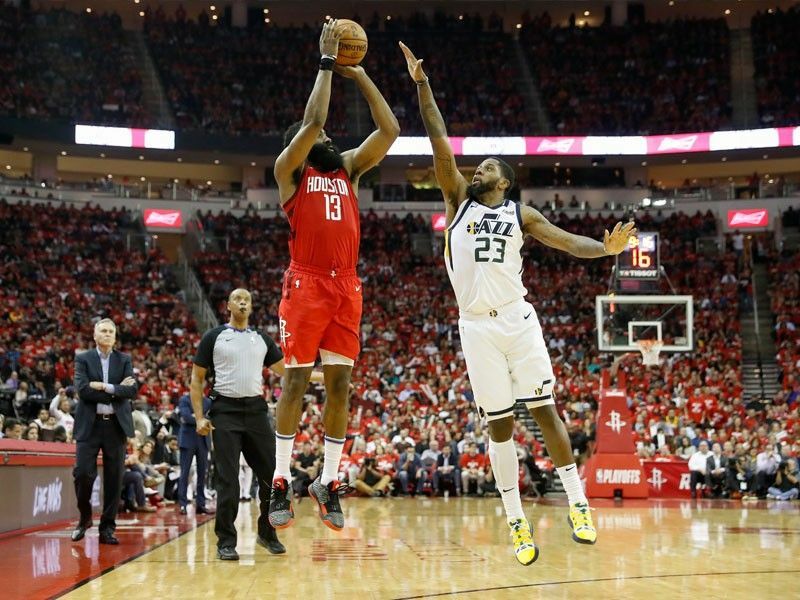 Harden, the 2018 NBA Most Valuable Player, led the scoring as the Rockets overcame an improved Utah defensive effort to clinch a 4-1 series victory at Houston's Toyota Center. The Warriors lead their first round series against the Los Angeles Clippers 3-1. The momentum shifted after that error, PJ Tucker adding two free throws to make it 96-93. Harden then made a superb steal and drew a foul to earn two free throws that put the Rockets up by five with 38 seconds remaining. Chris Paul added two late free throws to make the game safe. Binay denies paying millions to communist groups in exchange for endorsement 0 SHARES Share it! Share TweetBy Hannah TorregozaRe-electionist Senator Maria Lourdes Nancy Binay on Thursday cried foul over a news report accusing her and other senatorial candidates of the Makabayan Coalition of paying communist groups in exchange for their endorsement. In a letter to the newspaper’s publisher, Rolando Estabillo, and managing editor, Ramonchito Tomeldan, the senator challenged the allegation. “Alcantara’s statements are absolutely untrue and baseless,” Binay added, saying the former should substantiate his claims. She decided to respond to the claims after realizing the danger of allowing lies to go unchallenged. Archbishop expresses concern on safety, security of churches 0 SHARES Share it! Share TweetBy Christina HermosoCaceres Archbishop Rolando Tria Tirona has expressed concern on the safety and security of churches following the recent earthquakes in the country and the bombing in Sri Lanka. “We must always ensure the safety of our churchgoers, and be proactive in safeguarding our churches and the faithful against human violence and natural calamities,” Tirona said. The Archdiocese of San Fernando in Pampanga, earlier said, at least 24 heritage churches are closed for inspection following the 6.1 earthquake on Monday. Manila Archbishop Luis Antonio Cardinal Tagle has also ordered the inspection of churches under his jurisdiction such as the historic Manila Cathedral and San Agustin Church. Palace: Canada should take back its trash ‘pronto’ 0 SHARES Share it! Share TweetBy Genalyn KabilingBEIJING — Canada should take back its garbage dumped in the Philippines “pronto” or else years of bilateral relations will be “put to naught,” Malacañang warned Thursday. It must retrieve them pronto or we throw them back to its shores,” Panelo said. President Duterte earlier threatened to go to war if Canada would not retrieve the tons of garbage shipped to the Philippines years ago. Panelo hit back at Canada for its “vague statement” in relation to the President’s call on the waste issue. DepEd spearheads campaign for ‘child-friendlier’ TV programs 0 SHARES Share it! “These requirements shall also apply to children’s television programs,” it added. “The required 15% of the total everyday airtime for children’s programs and/or child-friendly programs shall be complied within 2022,” it added. “We hope that you will religiously bear in mind the required 15% allotment to children’s programs and child-friendly programs,” he explained. ; council member for academe sector Alice Pañares; council member for broadcast media sector Ramon Osorio, APR, CPR; council member for parents sector Ma. QUEZON CITY, Philippines — Ateneo has been an absolute force in Season 81 of the UAAP women’s volleyball tiff with their league-leading 11-2 record. Suffering losses only against defending champions DLSU, the Lady Eagles were close to invincible against the rest of the league. "We don't think kung sino yung nasa Final Four... We respect each team," Almadro said after their sweep against Adamson on Wednesday. A win against the Lady Warriors on Sunday will lock Ateneo's place as the top-seed heading into the Final Four. 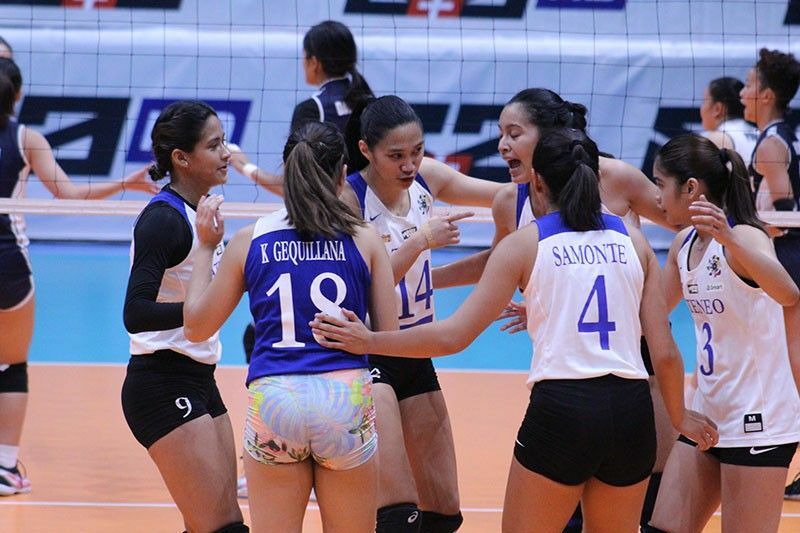 After missing out on the Finals last year, the Lady Eagles are surely raring to win it all. LEGAZPI CITY — An incumbent village chief was arrested on Wednesday after police seized several firearms in his residence in Placer town in Masbate province. Police arrested Dioscoro Dickyam Sy, chief of Barangay (village) Nagarao in response to information that the suspect was selling firearms, Police Maj. Maria Luisa Calubaquib, the Bicol police spokesperson, said Thursday. ADVERTISEMENTCalubaquib said a police crack team swooped down on the suspect’s residence around 7 a.m. and recovered an M14 rifle and four caliber .45 handguns. The suspect will face five counts of illegal possession of firearms and violation of the Commission on Elections gun ban. The police are investigating whether the suspect is a gun runner or a member of a political armed group (PAG). Angat Dam to breach minimum operating level in 3 days; NWRB begins low water allocation for CL irrigation May 1 0 SHARES Share it! As of Thursday morning, NWRB Executive Director Sevillo David Jr. said Angat Dam’s water elevation was at 181.15 meters. “It is projected to breach the minimum operating level of 180 meters in three days,” David said. Angat Dam’s normal high water level during the rainy season is 212 meters. Under the National Water Resources Board’s (NWRB) protocol in the release of water from Angat Dam, water releases for irrigation needs in Bulacan and Pampanga will be temporarily halted or reduced once the dam’s level falls below its 180-meter minimum operating level.